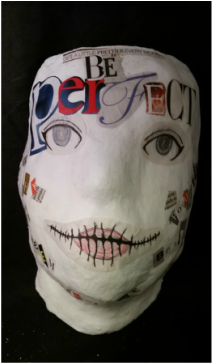 Project Description: This projects purpose was to learn about poetry, its styles, rhythms, and meaning and significance. Our final was at the all school exhibition, and each student recited their poem by memory. Throughout this projects process, I learned about poetry rhythm, meter, and figurative language while studying many different types of poetry written by a variety of authors. Project Description: To begin this project our class started the book Brave New World written by Aldous Huxley. Throughout the time of reading this book, we annotated each chapter to see and analyze our thought process, and often would discuss chapters with classmates and teachers. After finishing Brave New World we went through a seminar, discussing the different aspects of the book at what the author Aldous Huxley was trying to convey. After reading and discussing this book, we went deeper into the aspect of what happiness is, and how it is connected to meaning. We watched many different documentaries and read many different articles on varying stances of what happiness and meaning are, and how we can find them. Finally, after gathering enough evidence and somewhat understanding what happiness and meaning are to ourselves, we began to write our happiness and meaning essays, and creating our happiness and meaning art pieces. 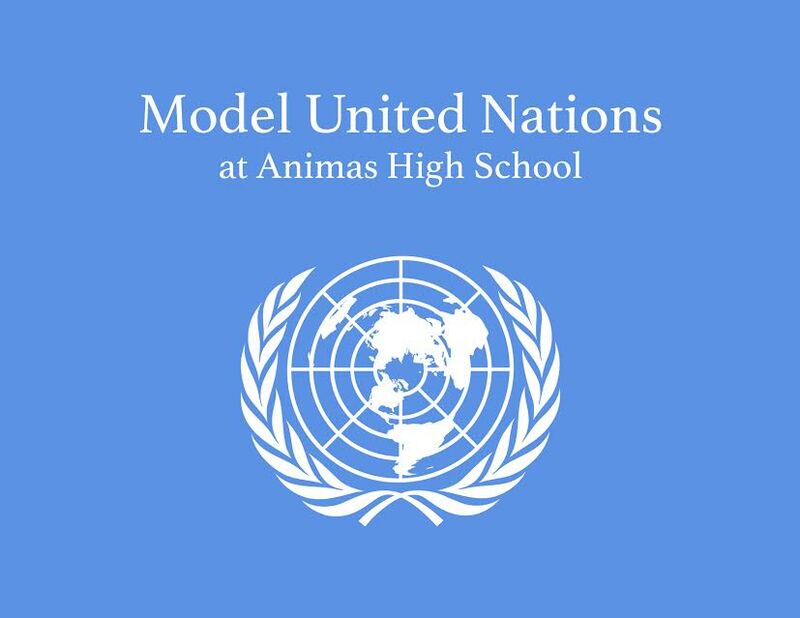 Project Description: To start off this project, each person was assigned to represent a country in future Model UN Conferences. The issues this project focused on were North Korea's nuclear bombs and The Israeli Palestinian Conflict. Throughout the first few weeks of focusing on one of these subjects, we researched the issue thoroughly to grow in understanding it. After this, we we're required to write a research paper on our countries position on the conflict. Following this research paper students wrote a Policy Paper on the perspective their country had on the issue. Lastly, we each wrote resolutions, formatted in the proper way a United Nations resolution is formatted. Four resolutions were chosen by the class chairs to be on the docket at the upcoming conference. For the North Korea issue, our Model UN Conference was held in class. For The Israeli Palestinian Conflict, the Conference was held at Fort Lewis College as an exhibition. Below are my Resolutions for the North Korea Conflict and the Palestinian Israeli Conflict. Below is my Palestinian Israeli Conflict Policy Paper. Below is my Model United Nations Project Reflection. 1. What has been most challenging about this project? The most challenging part of this project has been reciting my speech in front of the class for the Model United Nations Conference in class. I have always struggled with public speaking, however, I am trying my best to overcome this struggle. Public speaking is very important at Animas, and that is part of the reason I came here. I hope very much to become efficient in it. The challenge I have overcome for this project is my missed policy paper and research. Unfortunately I had a concussion and it was very difficult for me to look at computer screens and complete this assignment. For a short period of time I was confused at my country's opinion on North Korea's nuclear weapons, but I caught up and researched to understand the United Kingdom's perspective on this global problem. 3. What are you most proud of at this point? I am most proud of my effort to write and present my speech in this project. Having written my speech, I know I did not have very much time at all to write it, especially since I had an exhibition the night it was assigned. At first, I was frustrated with the quality of the content, I felt like I could've done better with the speech. However, I needed to keep in mind that I did not have very much time at all to write this speech or prepare for presenting it, so I know I did the best that I could given the circumstances. After having analyzed this quote, I have figured out that to me it means "You can't become smarter and achieve more when you are satisfied with yourself; who you are and what you do." If you are always satisfied with your work and do not ever think you can make it better, you will never be able to achieve bigger and better things. The purpose of this project was to learn about socialization in depth. We learned that socialization is what a culture values or finds disturbing. It is always changing and passed down through many generations. My Humanities class learned about agent groups and target groups, what influences a culture and a person, and what stereotypes are most present in the culture that we live in. In this class I became aware of many stereotypes I saw everyday but never really noticed. I realized many people have to wear masks and hide themselves from people.